The Parish Priest of St. Cyprian Catholic Church, Oko -Oba, Agege, Rev. Fr. 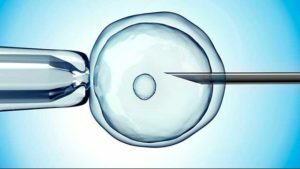 Augustine Nnemeka , has revealed that it is wrong for members of the Catholic Church to go for In Vitro Fertilisation in order to procreate. The cleric also stated that impotence was enough ground to dissolve a marriage, as he urged intending couples to carry out adequate medical tests before concluding their union. He spoke over the weekend during a seminar on marriage and family life, organised by the Catholic Men Organisation, an arm of the church. The seminar, themed, ‘Understanding Catholic Marriage and Upholding the Family,’ was held in the church’s premises. Nnemeka, during a question and answer session, said impotence and impediments could make the church annul a marriage, adding that an impotent man was not qualified for marriage . On IVF, he said, “The church does not support it. It has to be natural. When we defined marriage, we said it is for the good of the spouses and procreation. And I simplified it by calling it love sharing and life giving. The outcome of love sharing is life giving . The cleric told reporters that there was the need for constant enlightenment of couples to build stable homes and a strong society. “We decided to put this together to encourage couples and intending couples to be patient and adhere to the teachings of the church on marriage. We want them to know the importance of commitment and effective verbal communication in marriage,” he added. This entry was posted in Belief, Christianity, News and tagged Catholic church, IVF. Bookmark the permalink.